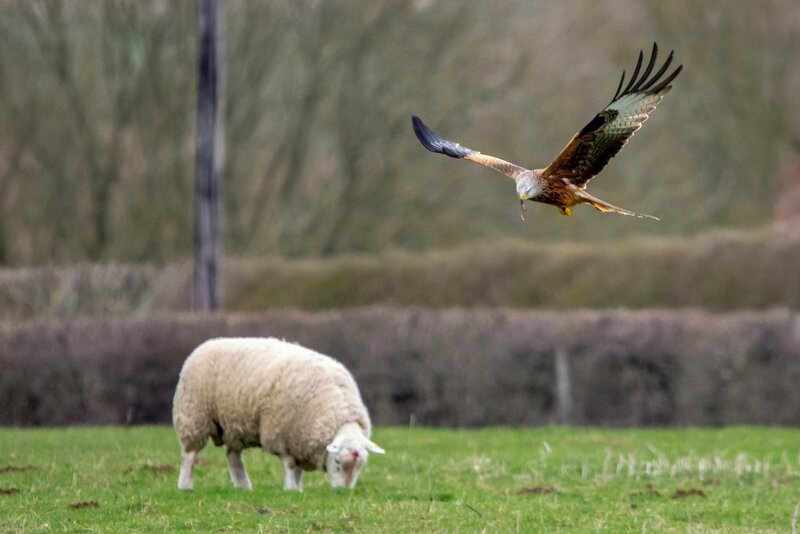 Red kite apparently scavenging for earth worms whilst a sheep grazes on oblivious to it's presence. Taken at the weekend in rather low light so I'm pleased how well it came out. Wonderful juxtaposition between the two critters. Very nice. Congrats on TT -- they make a nice pair!